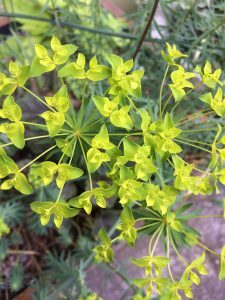 Well behaved lovely early summer blooming Euphorbia hybrid with fine blue foliage and umbels of chartreuse flowers that remain effective on the plant for 4-6 weeks. Easy to grow clump forming perennial that is winter deciduous. 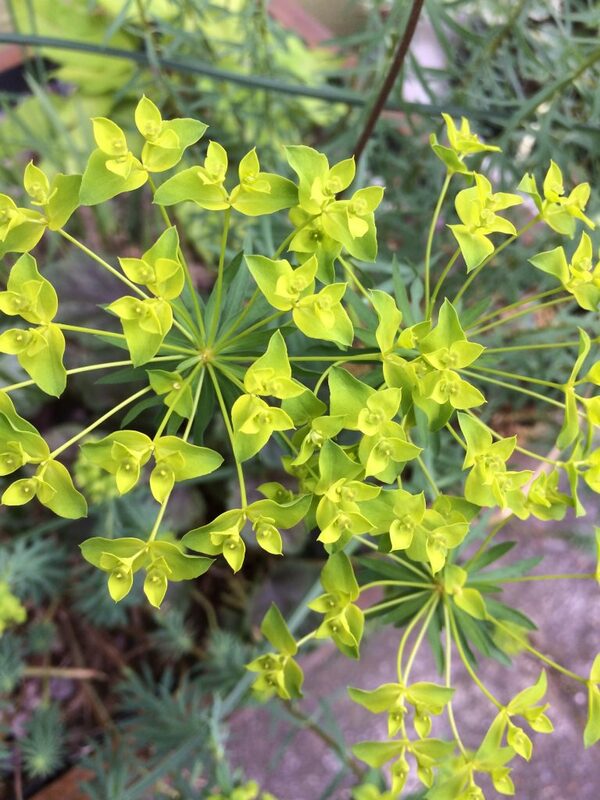 Foliage to 10″ tall supporting the flowers to 14″ high. Sterile hybrid- will not reseed or become a pest. Long lived perennial for full sun and rich to average well drained soil. Light summer water. Excellent en masse. Cut back spent stalks in winter to make way for a whole new crop of stems/flowers. Good deer resistance. Drought tolerant.